Experience Aboriginal cultural heritage at Tweed Heads Historic Site and Minjungbal Aboriginal Cultural Centre. Visit sacred Aboriginal sites and enjoy some easy walking. 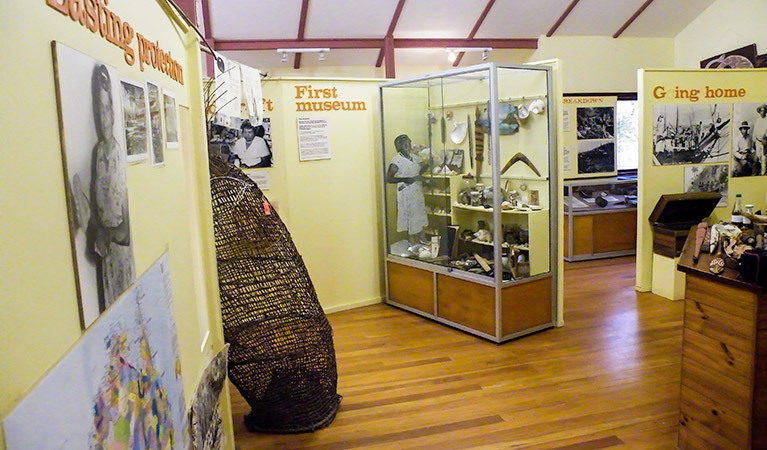 Tweed Heads Historic Site is an educational and fun attraction to visit. Tweed Heads Historic Site and Minjungbal Aboriginal Cultural Centre offer relaxing experiences among nature and authentic ways to learn about local Aboriginal culture. It’s only a short drive from popular holiday destinations like the Gold Coast and Byron Bay. Visit the cultural centre, see the museum displays and listen to Aboriginal guides talk about their history and culture and the significance of sacred Aboriginal sites like the ceremonial Bora Ring. Take advantage of this unique opportunity to see Bora Ring for yourself via Walk on Water walking track. Get up close with the fish while on the wheelchair-accessible boardwalk, then wander back and enjoy a relaxing picnic surrounded by Aboriginal culture at the Minjungbal Aboriginal Cultural Centre. Our Cabarita Beach Resort is just a short drive from Tweed Heads Historic Site. Our three bedroom apartment is a self contained apartment featuring quality king, queen and single bedding. The room caters for a maximum of seven adults. Perfect for families and friends, book your stay at our resort. Enjoy a fantastic holiday with family and friends. Our resort offers a choice of two bedroom, three bedroom, and four bedroom apartments. Perfect for families, friends, couples and corporate travellers, our resort has apartments to suit your needs.